You can find TESCO Metro in Eldon Square Shopping Centre on Clayton Street, approximately 0.36 miles south from the centre of Newcastle upon Tyne (not far from Monument Station and The Gate Mall). This supermarket essentially serves the customers in the areas of Spital Tongues, Shieldfield, Newcastle Upon Tyne City Centre, Gateshead, Grainger Town, Teams, Arthur's Hill and Sandyford. Hours of operation today (Thursday) are 7:00 am until 10:00 pm. 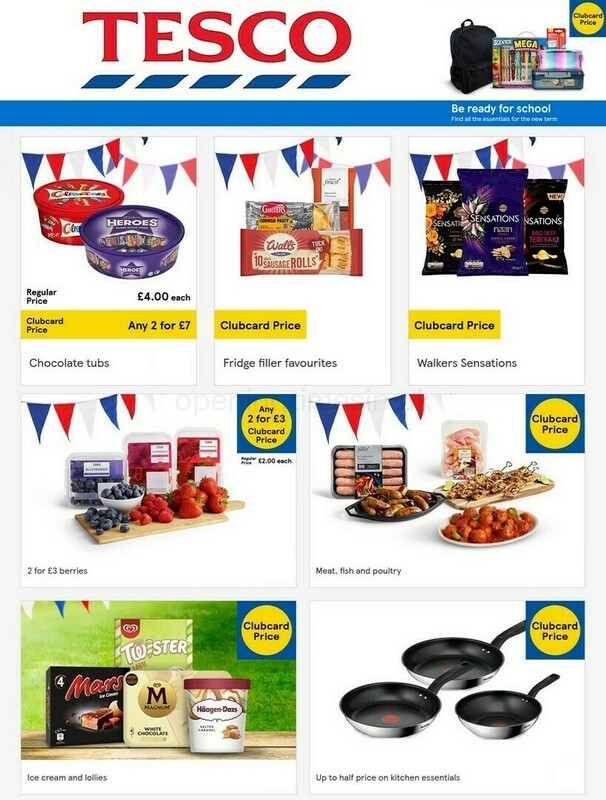 Please see the various sections on this page for specifics on TESCO Newcastle, Clayton Street, including the business hours, navigation, product ranges and additional information about the store. TESCO Metro is positioned not far from the crossroads of Nelson Street and Clayton Street, in Newcastle upon Tyne, Tyne and Wear, at Eldon Square Shopping Centre. Just a 1 minute drive from Percy Street, Alley Number 2, Nun Street and Blackett Street; a 3 minute drive from Gallowgate, Bigg Market or Newgate Street; and a 10 minute drive from Tyne Bridge and Central Motorway. If you plan to use Satellite Navigation devices to get to this store, enter postcode NE1 5EE. The nearest bus stops are at Newcastle Newgate Street, Newcastle Monument, Grainger Street-Tj Hughes-N / B or Monument Grainger Street. Lines that stop here: 38, 97, 38A, Q2 and N97. Patrons can get here from Monument Station (780 ft), St James Station (1080 ft) and Central Station (1490 ft away). You will want to disembark at Newcastle Train Station (1780 ft), Manors Train Station (2440 ft) or Dunston Train Station (2.08 mi away). Northern and Virgin Trains East Coast lines stop here. If traveling by foot you might discover Chinese Garden, Royal Victoria Infirmary, St James' Park, Shieldfield Green, Central Business & Technology Park King's Manor, Leazes Park, Eldon Garden, The Robinson Library and O2 Academy. TESCO has 16 operating stores in Newcastle upon Tyne, Tyne and Wear. Click on this page for the full list of all TESCO supermarkets near Newcastle upon Tyne. The UK holiday season may cause changes to the usual working times for TESCO in Newcastle, Clayton Street. In 2019 it applies to Christmas, New Year's Day, Good Friday or Early May Bank Holiday. The best way to get precise information about seasonal business times for TESCO Newcastle, Clayton Street is to go to the official homepage, or phone the direct line at 0800 50 5555. During your visit to TESCO, you can also look in on the wide collection of stores in Eldon Square Shopping Centre. You'll also find Argos, Next, Debenhams, Poundland, Starbucks, TESCO and other possibilities at this place. Our team strives to provide you with the latest information as possible. If you have found any discrepancies or mistakes in the address details or working hours for TESCO in Newcastle, Clayton Street, please let us know by utilizing the report a problem form. You may also support potential patrons by posting your feedback on TESCO.